Durga Pujo of this year, is coming to an end. 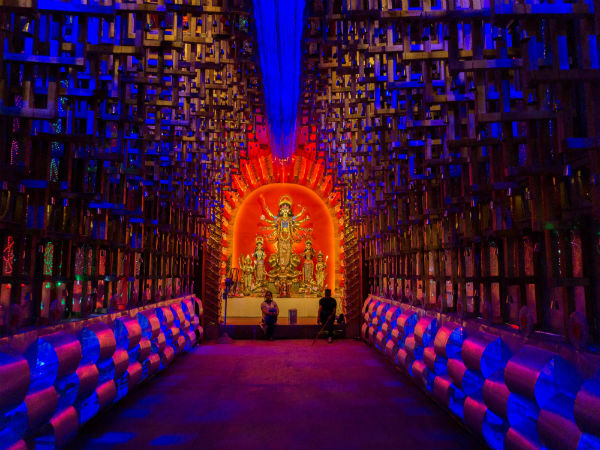 One would really love to visit Kolkata to experience the best Durga Pujo pandals. However, the cultural capital of Maharashtra is not to be left behind. Pune is also one of those cities which celebrates the festival on a grand scale and offers one a peek into the Bengali culture and tradition. The city of Peshwas does celebrate the festival like many other cities with its grand pandals, bhog, yummy food and much more. Have a look at some of places in the city where one could enjoy the festival to the fullest. The pandal here is one of the most popular ones in the city which has been organising it for the past 11 years. The pandal is well known for its décor and the gorgeous Durga idol along with a line of food stalls, handicraft stalls and much more under its umbrella, where one would get the best of Bengali cuisine and culture. The organisers also have a large number of cultural events and contests along with folk songs and dance performances. Another popular pandal which is celebrating its 15th year, the organisers at Hadapsar add a heavy Bengali touch to the celebrations–from the pandal to the idol, from the delicious food to the cultural activities. If you are foodie, then this the pandal for you guys to head to, for the festival awaits you in the form of kathi rolls, fish chops and not to forget the free bhog. The association here has a large number of programs lined up which comprise of theatre performances, traditional dance forms and not to forget the routine pooja, food and much more. Head to the ABC Farms in Salunke Vihar to experience a puja in a very different way. For those guys who live in and around Baner, head to the Durgotsav in the Govinda Garden for a dose of Rabindra sangeet, Bengali literature and to relish the home-made Bengali delicacies. The pandal here is well known for the portrayal of Bengali culture and literature through its décor and the way in which the activities are carried out, which gives you a very different experience. Situated in Khadki, the shrine of Kali Bari is dedicated to goddess Kali and this is the place where one can head to if you want have a look at a more traditional Durga Puja. The shrine celebrates the festival in a very traditional manner with all its rituals and cultural events along with the servings of bhog.